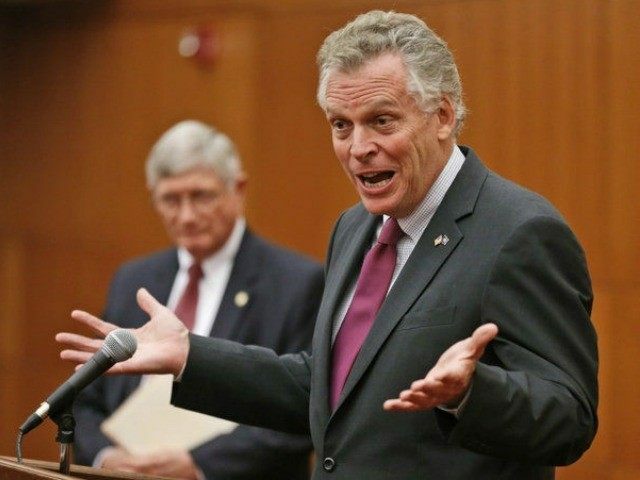 On January 28 Breitbart News reported that Governor Terry McAuliffe would announce plans to reverse Virginia Attorney General Mark Herring’s decision to cut concealed carry reciprocal agreements with 25 states. On January 29 Michael Bloomberg-funded Everytown for Gun Safety came unglued after McAuliffe actually announced the reversal. According to The Washington Post, “gun [control]… activists reacted with fury” when McAuliffe put forth his intentions. Everytown continued to emphasize their desire that McAuliffe cut the agreements as a way to force other states to adopt more gun control in order to enjoy reciprocity with Virginia. On December 22 WAPO reported that Attorney General Mark Herring (D) issued unilateral orders to end reciprocal agreements with “Alaska, Arizona, Arkansas, Delaware, Florida, Idaho, Indiana, Kansas, Kentucky, Louisiana, Minnesota, Mississippi, Montana, Nebraska, New Mexico, North Dakota, North Carolina, Ohio, Pennsylvania, South Carolina, South Dakota, Tennessee, Washington, Wisconsin and Wyoming.” Herring justified his actions by saying he was ending the reciprocal agreements because the 25 states had not attached as many conditions and prohibitions to their concealed carry permits. McAuliffe’s action to reverse Herring’s decision now goes before the State Assembly for approval.